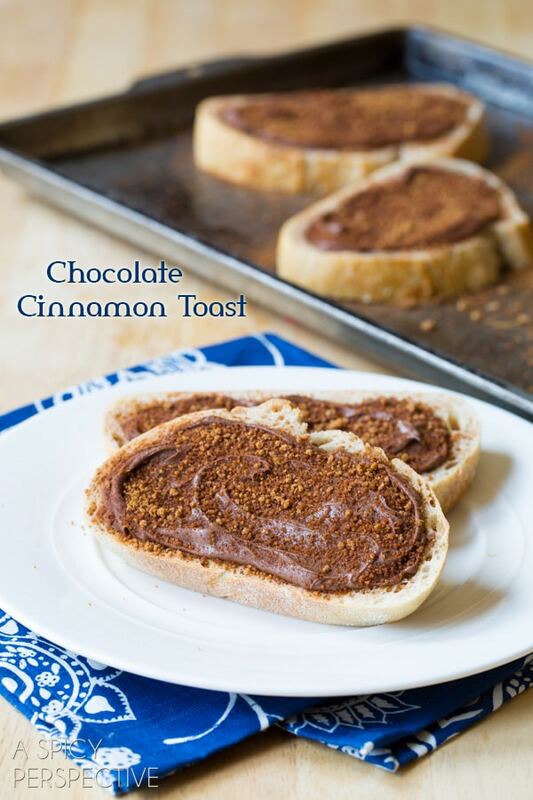 Of all the nutella recipes I’ve created over the years, this quick cinnamon toast is mostly definitely a favorite! 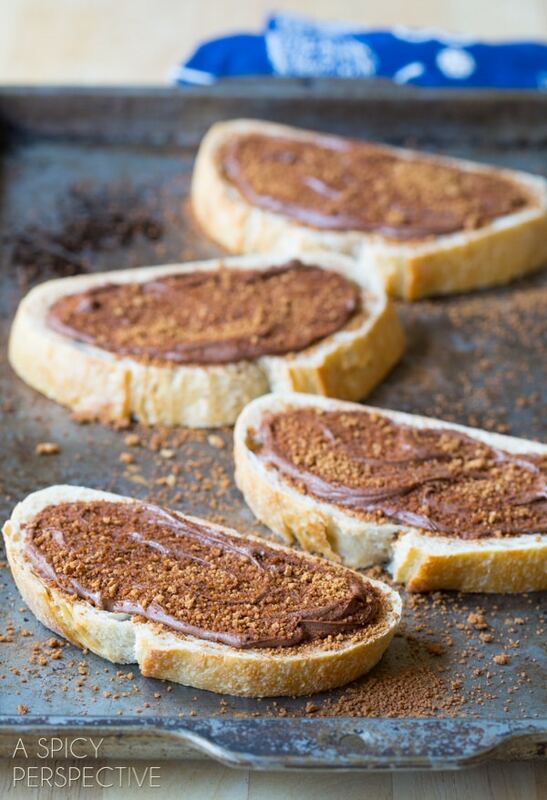 Chocolate hazelnut spread sprinkled with a cinnamon-sweet topping and baked to toasty perfection. Ahhhhh…. You know that afternoon when someone you love comes home with a weary look on their face? It could be a child who had a rough day on the playground, a spouse who lost out on a business deal at work, or a friend who lost out in love. 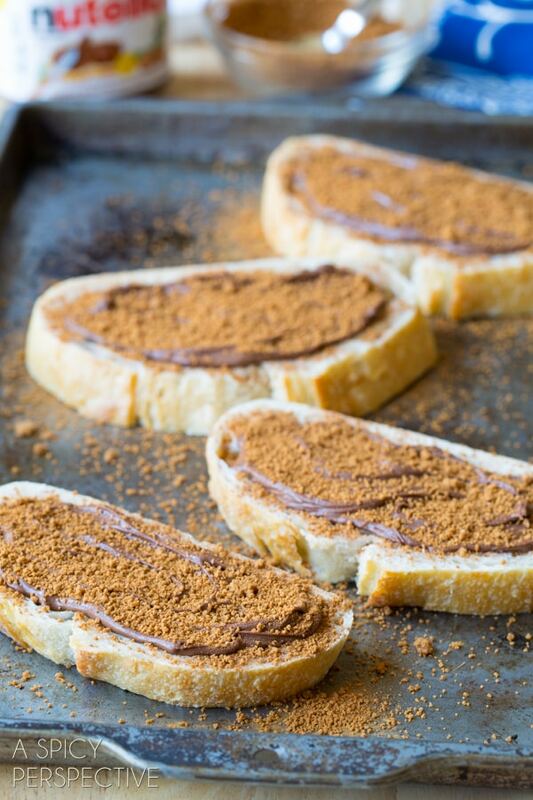 That… is the day to make chocolate cinnamon toast. No, it doesn’t have to be made in the morning. In fact, I find I enjoy chocolate cinnamon toast much more as a “rough day” snack. 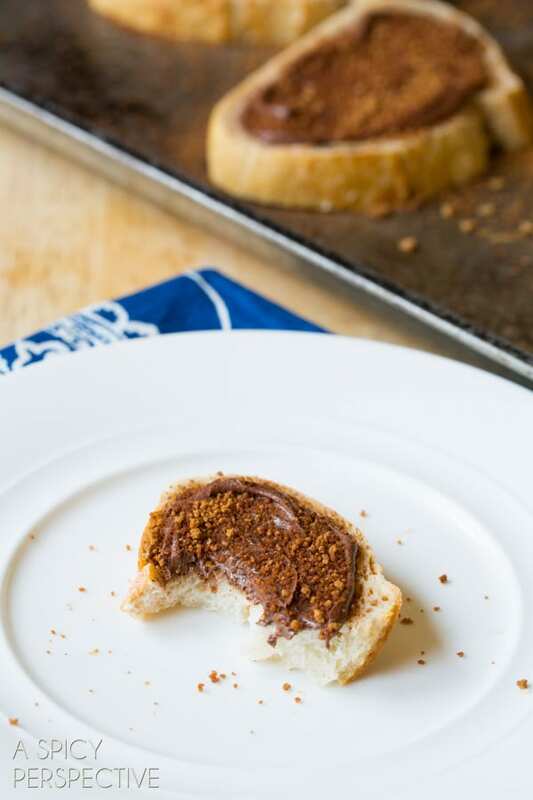 Something about the warm oozy chocolate hazelnut spread slathered on soft tangy sour dough bread, with a sweet crunchy cinnamon topping, and a hint of salt, instantly produces a silver lining around any gray cloud. Today’s 5 Minute Fix is one of my favorite little splurges. It’s so decadent, it only comes out on special desperately-needed occasions, like dollar sized bandaids and top-shelf liquor. 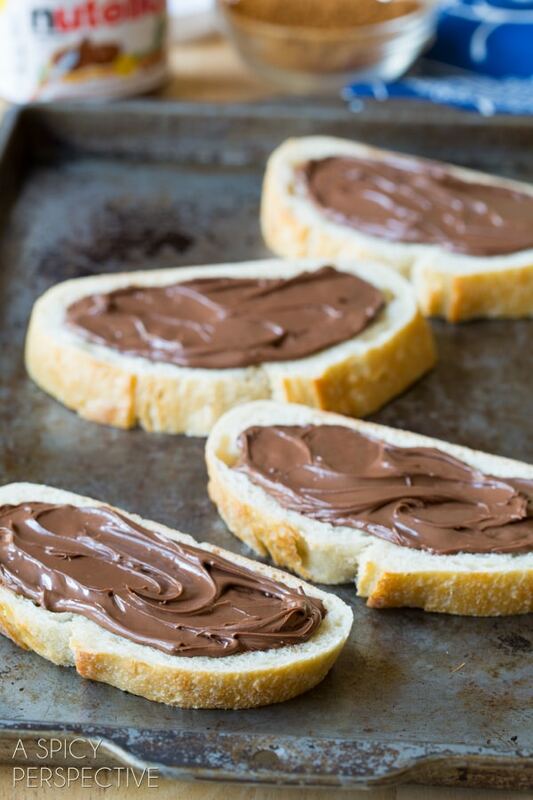 Spread a little Nutella over freshly cut sour dough bread. Sprinkle cinnamon mixed with brown sugar and salt over the top. Toast in the oven until crispy and melty. Then pull out the tissues and prepare to be hugged. Preheat the oven to 350 degrees F. Lay 8 thick slices of sour dough bread out on a baking sheet. 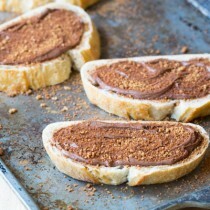 Spread one tablespoon of Nutella on each pieces of toast. Then mix the cinnamon, brown sugar, and salt together in a small bowl. 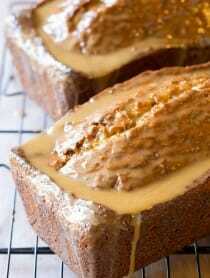 Sprinkle over the top of each toast and place in the oven for 3-5 minutes, until the edges of the bread of toasted. I think this is going to be a must try for my fiancé, she is a really big fan of Nutella. 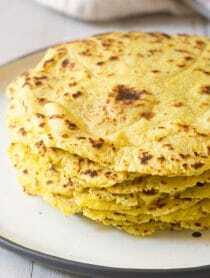 I am curious if you’ve tried this creation with other types of bread other than sour dough? 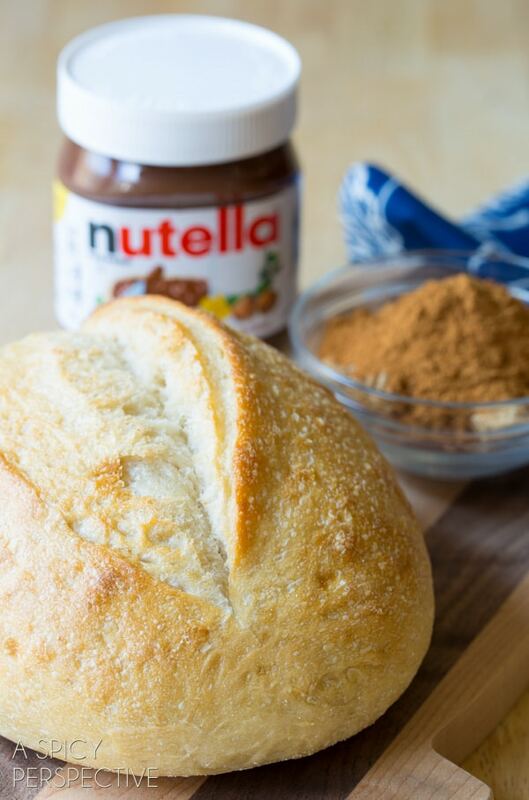 I’m a big fan of sour dough, but I never imagined it would work with Nutella. Love the chocolate kicked up with a bit of cinnamon. Great indulgence! This is absolute perfection…so simple yet so delicious!! Such a fun & relish breakfast idea!! What a perfect delicious snack Sommer! what a perfectly sweet treat! This is my dream breakfast, love Nutella! Bread, nutella and cinnamon? Now that is a combo made in heaven! 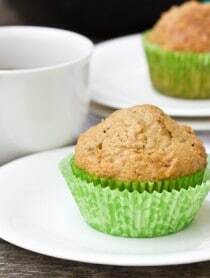 Perfect breakfast or snack!